Thank you to everyone who came out and visited our booth at this years Earth Day Festival in Manchester. The event was awesome and we appreciate all the hard work that went into making it happen. Since our primary goal is to educate, we loved the chance to chat with hundreds of people on the importance of using native plants in their residential landscapes. We also sold far more plants than anticipated which is fantastic. The cumulative effect of choosing natives over non-natives can not be understated. Every plant makes a difference! Thanks to everyone for doing their part! If you missed us this past weekend we will be at Maymont Herbs Galore this coming Saturday the 22nd. Hope to see you there! Hello to all our readers. We have some exciting news to share. Plant by Design Native Nursery has officially launched and will begin selling plants in early April. Check out our website to learn more and keep up with our upcoming events! Thank you to everyone for your continued support and for helping us make this possible. While driving around this week keep a look out for all the white flowering trees scattered among just about every “natural” and unnatural area in our city. This is a perfect example of the dangers of invasive species and why planting native to our region is so important. The tree I am referring to is the dreaded Bradford Pear (Pyrus calleryana). At one time the Bradford Pear was widely planted all around the city because of its modest size, adaptability, and early spring blooms. Unfortunately the tree has weak limbs which break during storms, horrible smelling flowers, and is as invasive as can be. They out compete most of our native under story trees such as Redbuds and Dogwoods and provide little if any ecological value. Fortunately, the planting of Bradford Pears greatly decreased once the negative attributes were discovered, however the damage is already done. Let this example be a catalyst to encourage ourselves and others to recognize the negative impact non native invasive plants have on our environment. With the plethora of native trees, shrubs, and perennials available, finding beneficial alternatives to non-natives is easier than ever. 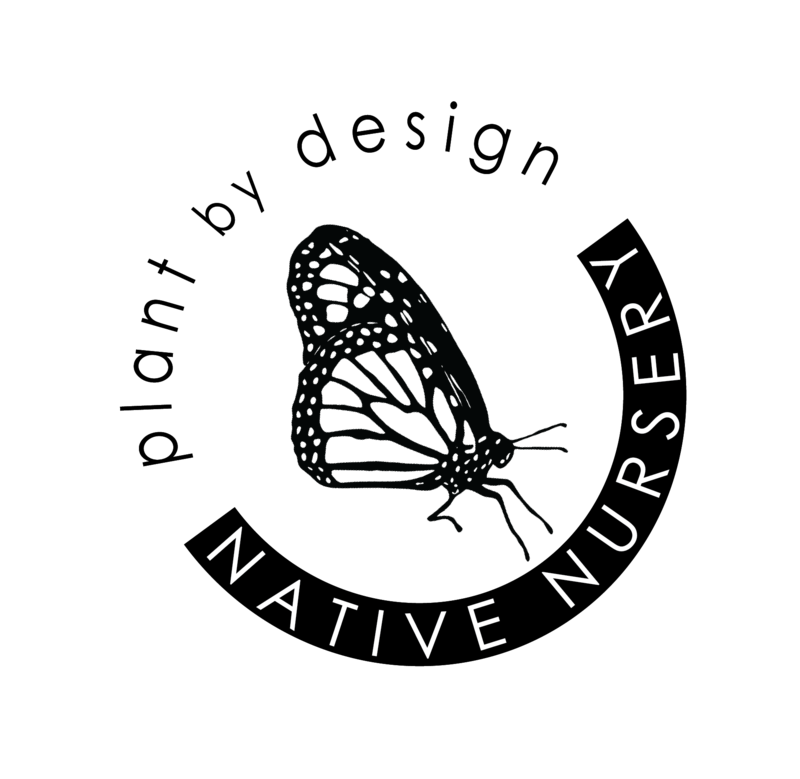 If you are in the Richmond area and would like to purchase native plants, check out Plant by Design Native Nursery . We are currently offering a selection of perennials native to our region and will be adding shrubs and trees in the near future. Plants will be available for purchase at Siteone (Formerly Glen Allen Nursery) and Elwood Thompson’s this April. Last post we discussed the removal of an invasive non-native known as Euphorbia amygdaloides. We got several requests to name ground covers to stay away from and also native options to use instead. Houttuynia cordata (Chameleon plant) – You will hate yourself forever if you plant this one. It is literally impossible to get rid of. Why would anyone still sell this??? Clematis terniflora (Sweet Autumn Clematis) – We spent all day today removing this one from a residence on Grace St. It will take several more years to eradicate it. To sum things up, we at Plant by Design are not purists. We do believe that planting some non-natives in your landscape is perfectly fine. The issue comes when the non-natives are more aggressive and out compete our local flora. The ground covers we have asked you not to plant are invasive. While walking through the woods its hard not to find Vinca or Ivy choking out our native plants. Do not be afraid to mention this next time you are shopping at your local garden center. We never fault the home owner, we fault the garden centers that should be more responsible with the plants they sell. Goodbye Euphorbia :-( Hello Sedge! A little over 2 years ago I obtained a sprig of Euphorbia amygdaloides ‘Robbiae’ from a clients house we were doing work at. Despite reading about its invasive tendencies I d ecided to give it a try due to its incredible beauty as a dense shady groundcover. I told myself, “Surely I can keep it in check by regular maintenance”. Big mistake! Not only did it quickly spread by masses of runners, but after 2 years I started noticing the plant popping up 10 to 15 feet away from the mother plant. This told me that it also spreads readily by seed. This was the turning point for me. I knew if I didn’t eradicate the plant soon it would begin to spread into my nearby woods quickly out competing current native species inhabiting it. I had to say goodbye to my Euphorbia. The good news is there are plenty of beautiful native ground covers that enjoy similar growing conditions. The plant I chose to replace this invasive nonnative is a sedge known as Carex pensylvanica. At first glance it looks like a type of grass but sedges are in fact their own separate thing. Come next spring the plugs I have installed will begin to fill out to 12″ wide and about 6 to 8″ tall. It’s a great ground cover to intermix with other plants. In the photo shown I have both Aruncus dioicus (Goats beard) and Meehania Cordata (Meehan’s mint) in the same area. I will post photos next year to show its progress. All of these Sedges do a great job of creating a shady ground cover that can also be used to substitute traditional non native lawns. The above varieties tend to max out at 6 to 8″ if left unmowed. Mowing once a year in winter is a good idea to keep them healthy and full. Sedges typically spread by runners rather than seed so planting plugs is the preferred method. If you need help obtaining native sedge for your yard just let us know. Final thoughts: No matter how beautiful the non-native plant may be, if it’s invasive, it’s not worth it! I will be battling seedlings of the Euphorbia for years to come. Lesson well learned. November Plant of the Month: The Majestic Oak! Oaks (Querces) are the most majestic of our native trees; however, besides willow oaks, they are rarely planted in residential landscapes. Don’t let the size and potential acorn nuisance scare you away from planting one of these beautiful giants. The picture to the right is a Scarlet Oak (Quercus coccinea) and is the reason we chose Oaks to be Novembers plant of the month. When it comes to fall color you just can’t beat it. Different species of Oaks provide color that varies from yellow to orange and even deep reds and purples. Their canopies provide excellent shade in the summer and a free source of mulch in the winter. It’s time to stop thinking of fallen leaves as a pain in the neck and see them for what they really are: natures mulch. Decomposing leaves provide beneficial nutrients to the soil, habitat, and also keep plants cool in the summer and warm in the winter. So this fall, why not consider mulching up the leaves in your lawn with a mower and then raking or blowing them into your planting beds. It’s way easier than bagging and you can always top dress the beds with a thin layer of hardwood mulch in spring if you prefer a cleaner look. Another main reason to plant Oaks is the benefit they have on our ecosystem. According to Dr. Doug Tallamy, author of “Bringing Nature Home”, Oaks support 534 species of lepidoptera (butterfly and moth) caterpillars– far more than any other native tree or plant. This provides the food needed for all our migratory birds. Without the Oaks it is very likely that many species of insects, birds, and other animals would go extinct. A few of our favorite Oaks are Quercus rubra (Pictured to the left), Quercus bi color, Quercus alba, and Quercus nutalli. I won’t get into the details of each of these oaks but feel free to do a little research to find out which one is best for you. We are always happy to answer specific questions as well. The only word of caution is to make sure you plant them in a spot that has plenty of room to grow. Many species grow to heights of 100′! This is definitely not an ornamental foundation tree! Thanks for reading, and have a great fall! Here at Plant by Design we consider October to be Ornamental Grass month. Grasses are great year round, but October is by far the best when it comes to seasonal interest. In particular, the seed heads and fall color are what make grasses such an asset to design. Each October we will discuss a different ornamental grass that we feel no landscape should be without. For this installment we will give the underused River Oats (Chasmanthium latifolium) their rightful place in the spotlight. River Oats, also called Northern Sea Oats, are a clump forming ornamental grass that only gets around 3′ tall. Its structure is more similar to bamboo or other Japanese grasses (we like to encourage our clients who want Japanese gardens to include native plants that have a similar look. We will do a blog post on which of our native plants fit seamlessly into Japanese gardens soon). If you need an ornamental grass for dry shade, this is the one you’ve been looking for. No other grass performs as well in these conditions. They will spread if the seed heads are not removed in early fall, but this is a great trait if you have a hill side or bank that you want to cover. Megan and I both have them in our landscapes and we are in agreement that they are easily manageable if spreading is not what you desire. Chasmanthium latifolium is simply a gorgeous grass. Most of the year it is a vibrant green before turning shades of yellow in early fall. The seed heads persist for much of the summer and almost appear to glow in the early morning sun. By October they turn brown and offer an excellent accent for fall decorations or floral arrangements. They are also great for nature! A few species of Skipper Butterflies use them as a host plant and the seeds are grazed by small mammals and birds. The foliage is also used in the creation of habitat. As for deer… they leave it alone! River Oats are not the easiest grass to find at most garden centers so if you are having trouble locating some let us know and we will be glad to help you out.